Place sugar in a small heavy skillet; cook and stir over medium-low heat until melted and caramel colored, about 10 minutes. Stir in almonds until coated. Spread on foil to cool. 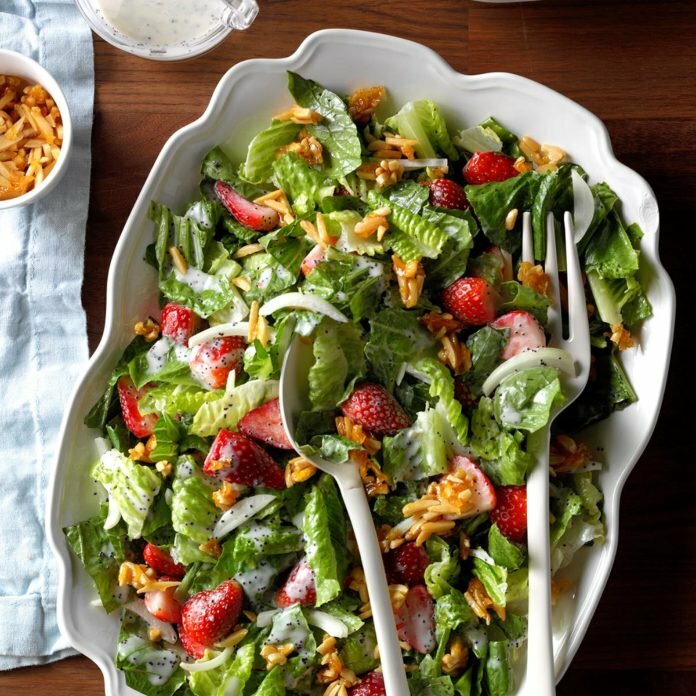 Place lettuce, onion and strawberries in a large bowl. Whisk together dressing ingredients; toss with salad. Break candied almonds into pieces; sprinkle over salad. Sprinkle with Micro Greens. Serve immediately. Health Tip: Turn this potluck salad into something heartier. Grill 2 pounds boneless skinless chicken breasts, slice and add to the salad for 10 main dish servings.